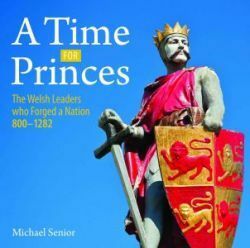 The Welsh Leaders who Forged a Nation 800-1282. The historian John Davies described 800Ÿ1282 as \'the youth of the Welsh nation\'. Roman Wales survived attacks by Irish and Viking raiders from the west and Saxon and other Germanic tribes from the east to lay down the foundations of a medieval country.